Wolf Track's Video Game Store Point of Sale Software is designed to provide the best solution for your video game buy, sell, and trade business. Top-rated features include ESRB rating validation, Used Game Available Alert, and Maximum Inventory On-Hand Alert. 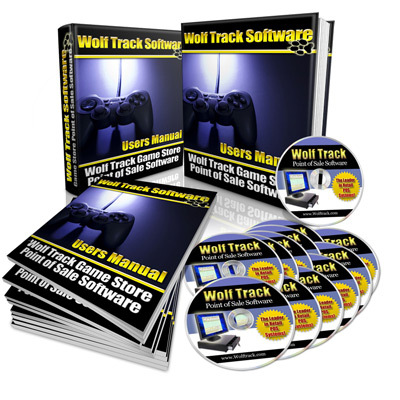 Wolf Track POS Software includes the ability to set up pre-order games for new releases as well as notify list feature that will let you e-mail your customers who are waiting for a game to get into stock. We recommend including options to directly connect to one of our game price guides for video game trade-in prices and game descriptions, offsite database backups to protect you and your stores information in any kind of disaster, and built in gift card/store credit processing through Mercury Payment Systems. Our Game Store Point of Sale Software comes with free help, support and software upgrades. We provide email support and phone, Monday through Friday, from 9:00 am to 5:00 pm CST. LeadsOnline is trusted by thousands of small businesses and many large corporations across all 50 states. Wolf Track POS Software now has a built in integration to Leads Online that will submit your transaction for you. No more having to log into the Leads Online and manually enter your daily tickets. Contact Us for details on how to setup this service. "I was able to save money by using Wolf Tracks receipt printing prompt that lets me decide if I want to print a receipt or not." 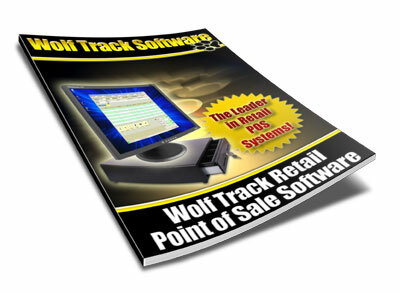 "Wolf Track POS Software saves me money every month with the built in credit card processing."